It was a disappointing night for Chelsea as they lost to a very determined Watford side at Vicarage road. The Blues had already set up to nick at least a point in the game before everything happened in a blink of an eye and Chelsea are down, 4-1. Antonio Conte was left deflated as he watch his side slip further down the race for a top four finish. It was a Monday night to forget for the Chelsea boss. Chelsea started the game in a bid to get maximum point and Conte brought out his best available squad for the night. It was from the blast of the whistle that Watford were looking like a team that is capable of getting the maximum points on the night. It didn’t take long before they started asking questions from the Chelsea back line. They eventually got what they wanted when Courtois caught Deulofeu and Troy Deeney did well by converting from the spot. This was after Bakayoko has been sent off for two quick challenge that earn him the matching order. 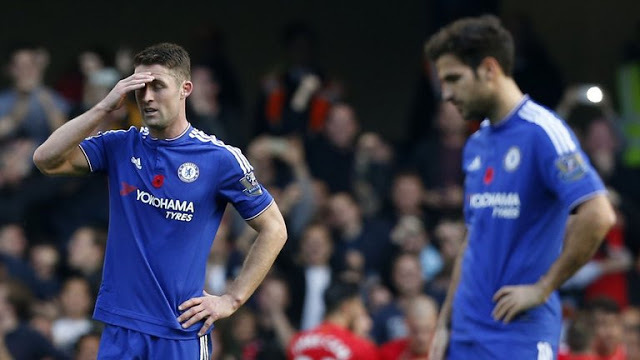 Chelsea however will never give up like as they rally back to get an equaliser towards the dying stage of the game. Eden Hazard was at the heart of it as the Belgian helped his side get back onto the game. At that point it was as if Chelsea were going to get back onto the game but never underestimate what a relegation battling club can do. The second half saw missed chances here and there but when it got to the 82nd minute when Hazard score the leveler, Watford had other plans on their mind. Janmaat made it 2-1 in the 85th minute when he played a one-two, danced away from a couple of tackles and finished into the bottom corner. Deulofeu and Pereyra team added the third and fourth respectively to complete the thrashing of the defending champions.